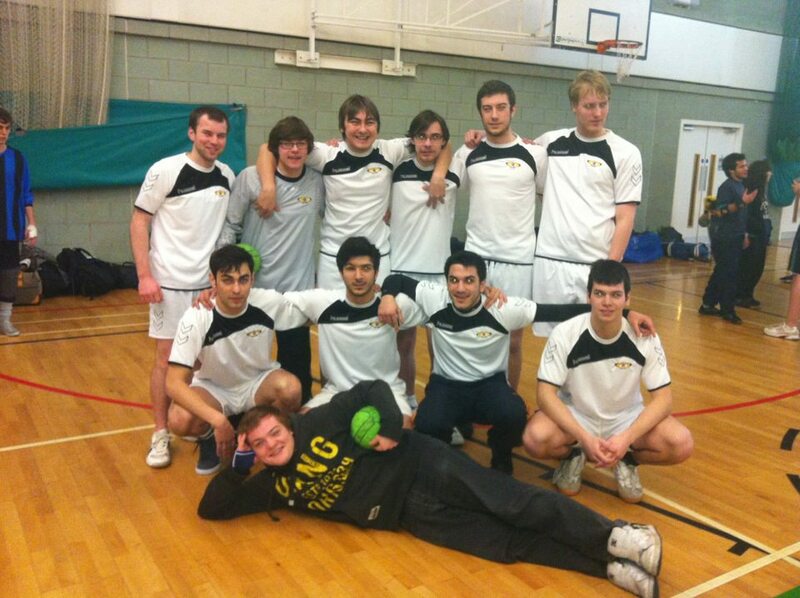 Over the summer Handball has picked up in popularity following London 2012, and in the run up to the Olympics Bangor University handball club was founded a year ago. The club attracted a lot of interest; especially from people who had never played before. Every year the club will compete in two main tournaments, the regionals and nationals. Their first win came at regionals with an 8-5 victory over Liverpool. The club finished 3rd out of 4 at regionals; it was a positive start. The team knuckled down and kept training hard for nationals, they faced tough opposition in Chester’s Deva as a warm-up and narrowly lost 20-19 – not bad considering Deva are a league side and Bangor had been a team for merely 3 months. Whilst the team didn’t qualify from their group at nationals (coming 14th out of 20) their year was capped off with 5 of their players picked for the ABUHC (British University) squad. 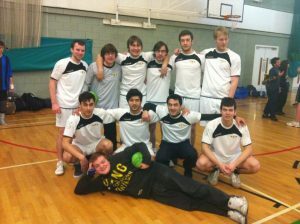 From the national championship, scouts for the ABUHC squad (being the Association of British University Handball Clubs) selected 5 players, including Filip Zindovic, Stefan Duvnjak, Matt Boden, Bangor Handballs coach Stephi Williams and Club Captain Matt Everett (as both coach and player), to feature in the 40 strong squad who went to Eindhoven to play in a European tournament. The players were broken down into a number of teams. The women’s team did fantastic and a string of excellent performances from coach Stephi Williams saw her get her name on the score sheet to help win a couple of close fixtures. 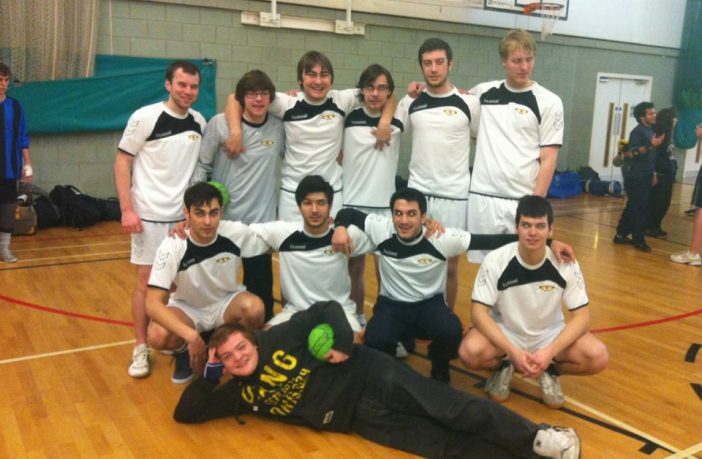 A similar level of achievement was recorded for the men’s team, including Filip Zindovic being named as our team (made up of the 4 Bangor men and 5 students from other uni’s) MVP, performing fantastically on the line and scoring a fantastic haul of 16 goals, the second highest tally from anyone in the squad. A highlight of the tournament for Bangor was seeing the GB team beat the tournament hosts 7-6. The most encouraging point however was that 3 of the 5 who had attended the tournament had never played the sport until a year ago, and that Bangor was the third most representatives only being pipped by old guard Loughborough and Lincoln. For those who might want to try Handball the team meet twice a week for training. 12pm until 3pm on Sundays and 8pm until 10pm on Mondays. It’s a fast paced sport and next year’s national championships are expected to have over 30 teams!